Have you suffered an injury at home or a work related injury? Suffering chronic pain or nerve damage? Want to be free of pain? 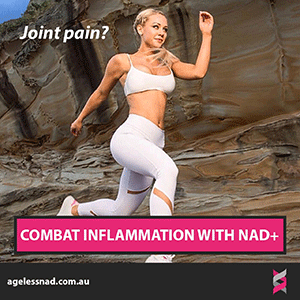 The good news is AgelessNAD specialise in chronic pain prevention. What are NAD+ vitamin infusions and how can they help me? Imagine sitting back reclining into a comfortable chair to experience 'the infusion' of essential vitamin goodness directly into your bloodstream. NAD+ Intravenous (IV) infusions are being used to successfully reduce pain without the use of traditional prescription painkillers. 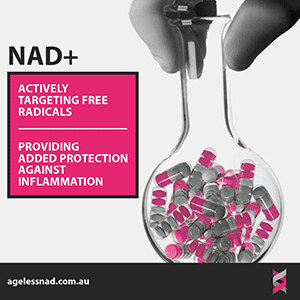 Did you know that NAD+ is a molecule used throughout the body? It repairs trauma and has also been shown to be useful treating nerve damage both new and older injuries. Please Note: This treatment may be covered by your insurance company to find out please contact us for a confidential discussion. Our arms and legs are the extremities most likely to suffer injury either at home, work or otherwise. Crush injury's, trauma pain and other nerve damage are some of the results, often without a long term healing strategy. All too frequently the solution is short term and prescribed to manage pain. The Bodies healing process requires lots of NAD+ to facilitate and expedite repair. Without it NAD steal can occur, this is when the body runs out of NAD at the trauma point and what is left is grey matter or dead cells or scar tissue. Providing the body with a big boost of NAD+ may help the healing process. Repetitive motion injuries can occur due to repetitive use of machinery or any other physical action. An injury from using the computer at work can occur due to muscle strain which can lead to carpal tunnel syndrome and chronic backache. The two main types of chronic pain are Nociceptive and Neuropathic pain. Nociceptive is caused by trauma to body tissue and generally dull aching or Throbbing pain. Neuropathic pain occurs when there is actual nerve damage. NAD treatments for Chronic pain may be able to help reduce pain levels. Although NAD is still the subject of intense scientific research with new studies being regularly released; Ageless NAD has conducted its own case studies and has had positive results in treating Fibromyalgia, Chronic Fatigue Chronic Pain and Myalgic Encephalomyelitis and may be able to assist with other pain related conditions. Contact us to arrange a consultation. How do we feel pain? Pain is a response formed in the brain after stimulation to the sensory nerves. Damaged nerves (neuropathy) often result in chronic pain because the nerve is no longer functioning properly, resulting in a lack of communication to the brain and the rest of the body. Damage to motor nerves can cause impaired sense of touch, temperature, and pain. The involuntary muscles are controlled by the autonomic nervous system, these control breathing digestion and regulatory processes throughout the body. Symptoms of damages autonomic nerves include: Lightheadedness Bladder dysfunction, difficulty digesting food, chest pains, sluggish pupil reaction, and even exercise intolerance among others. Are prescription painkillers doing more harm than good? G.P.s in Australia are generally trying to help their patients manage pain when prescribing painkillers, however on occasion may be inadvertantly starting an insatiable demand for pain management which is now a monster, rearing its ugly head in the form of opioid addiction. With Pharmaceutical opioid deaths now exceeding heroin deaths significantly; between 2011 and 2015 there were 2145 deaths associated with oxycodone, morphine, codeine, fentanyl, tramadol & pethidine. There were 985 due to Heroin, a reversal of the problems of the 1990's.